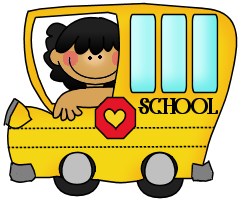 *Drop off begins at 8:00 a.m.
No check-outs after 3:00 p.m.
No transportation changes after 3:00 p.m.
*Please put extra set of clothes in your child's bookbag. Red, white, or navy shirts with collar or Folsom Elementary T-shirts. The Folsom Elementary logo is permissible and optional. The office has a limited supply of Folsom Elementary T-shirts for sale. Winter tights must be red, white, or blue. The Uniform Dress code policy brings out the best qualities in students and ensures a climate of order, discipline, and learning. The students shoes must be enclosed (no sandals or filp-flops). 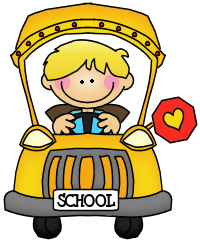 *Please confirm bus information prior to first day of school. *Bus drivers subject to change. Please read and obey the rules and regulations put forth by the parish and follow the directions from the bus driver the first time they are given. This is for the safety of all those who ride the bus. to see what bus they will be riding.